Original wood floors can be one of the most striking features of a brownstone or townhouse, especially if they have intricate parquet or borders. But many wood floors have suffered years of neglect, been oversanded or covered with new flooring like tile or linoleum. So how do you know when your original wood floor is worth saving? Brownstone owners often call upon Zambrano to repair original parquet floors because he collects and saves old pieces of inlay borders. In cases where the original floor is missing or unsalvageable, he often sands and refinishes the original pine subfloors. 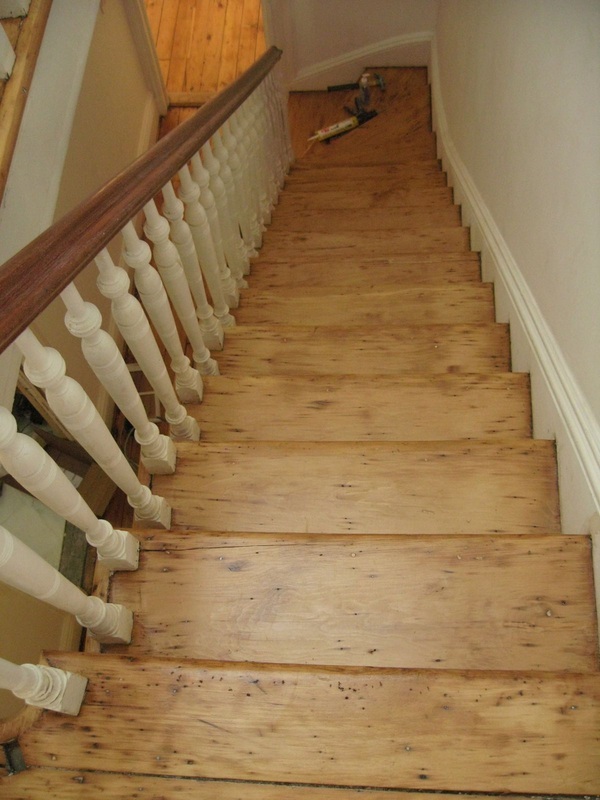 While many homeowners are tempted to sand and refinish wood floors themselves, Zambrano said it is not a DIY project. 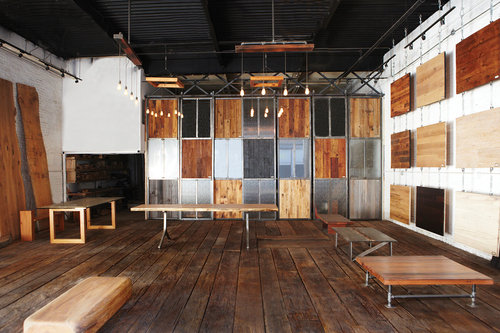 Homeowners have several options when the original floor is beyond repair, said Craig Margolies of the Hudson Company, a mill that specializes in reclaimed wood flooring. Reclaimed pine can be sanded and used to re-create the look and feel of old subfloors, new parquet with borders can blend in seamlessly with a brownstone, or unfinished wide-plank oak flooring will give a more modern townhouse a Scandinavian feel. Carlos Salazar, of Carlos Wood Floors, said he’s seen a trend in recent years toward new wood flooring, as opposed to patching and repairing old floors. Salazar said the most popular type of flooring is 4- to 6-inch oak, and customers opt to stain it a dark color about half the time. Clinton Hill homeowners Nicole Sherwood and her husband weren’t sure whether the wood floor in their front hallway could be saved after being covered with linoleum by previous owners. The adhesive from the tiles had eroded parts of the floor below it, and there was water damage from an old radiator. A contractor encouraged them to replace it. But Zambrano, who was refinishing the floors in the rest of the house, urged the couple to have them sanded. “He sanded it and it looked amazing but we were missing a lot of pieces,” Sherwood said. She was quoted a price of several thousand dollars to replace all the missing pieces with new ones. And, at first, Zambrano could not find the matching pieces in his shop. On the other hand, a Park Slope family opted to replace the existing oak floors in their townhouse with a new oak floor in a medium brown finish.